The new data on global smoking from a global survey, known as MPOWER, funded by Bloomberg Foundation, will get the hair up on the back of your neck. As reported in Health News, "WHO officials said that one billion people could die of tobacco-related illness this century. Douglas Bettcher, director of the WHO Tobacco Free Initiative, stated, "What we're saying is that we don't want to let that happen. We want to see the operating environment of the tobacco companies become as difficult as possible in the near future." According to a recent article in The Economist, over 150 countries have already ratified the Framework Convention on Tobacco Control , which requires countries to take a range of anti-smoking measures. According to the Health News article, Studies have shown that raising the price of cigarettes is the most powerful strategy. For every 10% increase in price, cigarette consumption drops about 4% overall and about 8% in young people. Bloomberg is on top of pursuing these strategies in New York with his recent call for another 50-cent increase in the New York City's cigarette tax to $3.50 a pack. But the Economist article notes that only 5% of the global population is covered by "sweeping smoking bans." Evidently, "The tobacco industry is regrouping on order to focus on "promising" markets and escape the pesky lawsuits it is likely to face in rich, litigious markets. China is now home to more than a quarter of the world's smokers." The global scale of the issue, and of the companies that proliferate its incessant and insidious growth, demands global-scale problem solving. We hope you'll share more about active initiatives addressing this global health crisis. 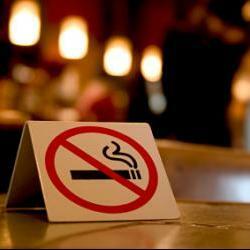 The United States has not ratified the Framework Convention on Tobacco Control. Hopefully the next administration will not be so cozy with the big tobacco companies. And there are still plenty of states that have not passed any kind of meaningful smoking ban. More pressure needs to be put on politicians to do their part to protect citizens from the harmful effects of tobacco.